Dress your windows with a Southwestern flair by adding the Truffle Drapes topped off with a Mountain Storm Valance. The solid color Pair of Truffle Drapes are made of medium brown softly textured polyester and have a rod pocket top. These draperies are a beautiful addition to any room in your home. 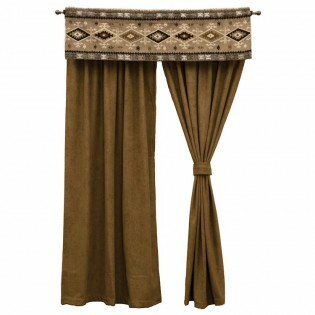 The Mountain Storm Valance is a chenille tapestry with a Native American inspired design. The storm cloud colors include shades of taupe, brown, light beige and black. Dress your windows with a Southwestern flair by adding the Truffle Drapes topped off with a Mountain Storm Valance. The solid color Pair of Truffle Rod Pocket Drapes are made of medium brown softly textured polyester and have a rod pocket top. These draperies are a beautiful addition to any room in your home. 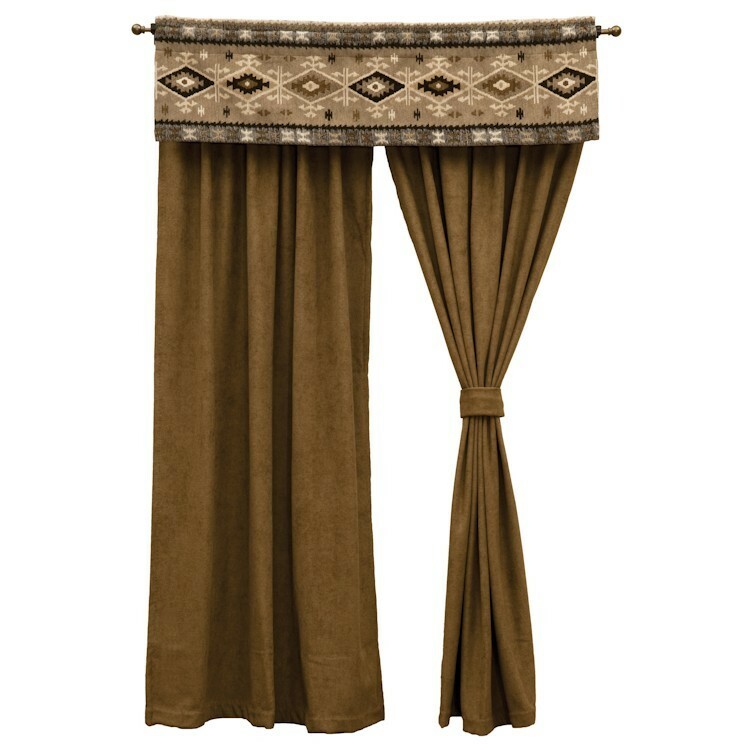 The Mountain Storm Rod Pocket Valance is a chenille tapestry with a Native American inspired design. The storm cloud colors include shades of taupe, brown, light beige and black. Rod Pockets: 3", Headers: 1.5"